Members in India, Vangard Logistics are over 15 years old with a network of offices across the country. 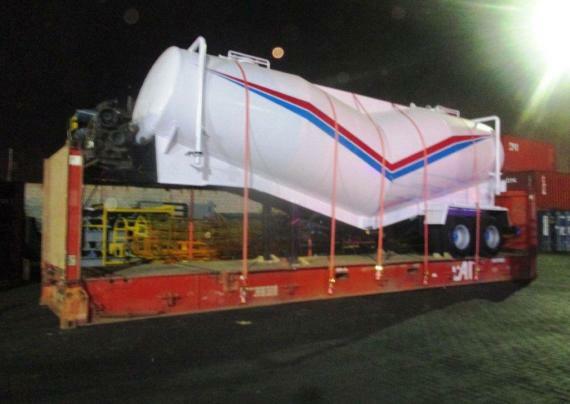 They have recently handled a challenging shipment of a bulk tank as photographed. 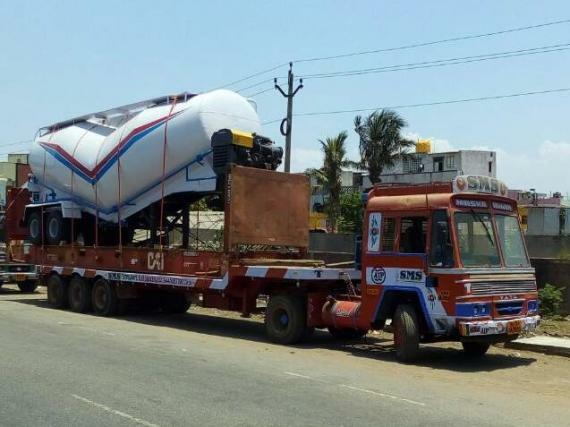 Haribabu Loganathan (Director at Vangard) explains; "For this job, the trader arranged the body of the tank from one factory and the axel and wheels fixed by a separate factory. 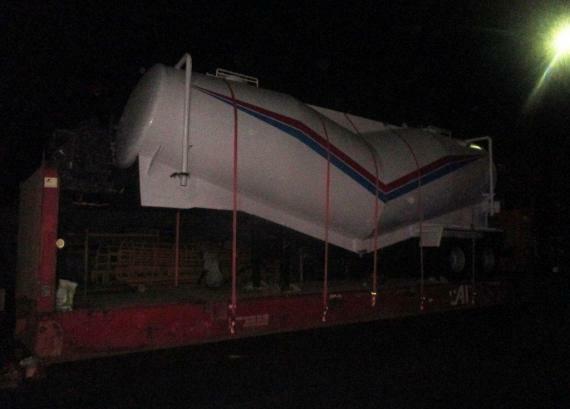 Our scope of work involved moving the bulk tank body by road from one factory to the other at a distance of around 350km. 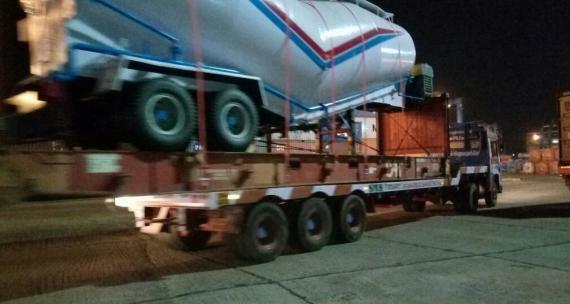 Once the axels were fixed, we moved the entire cargo to Chennai Port for clearance which was another 400km distance. Before the operations and based on the shippers' details and dimensions, we finalised the rates to the customer. 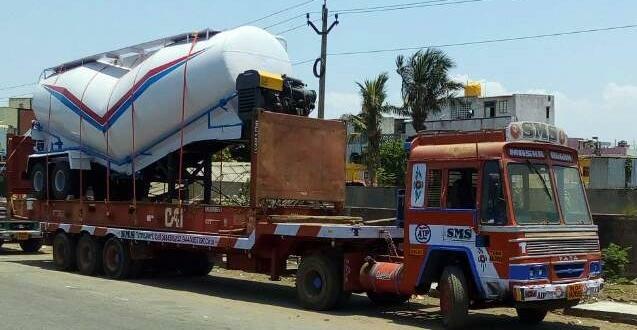 However, after the shipment arrived at Chennai Port, we noticed that there was an increase of 1.5ft in height which the liner did not accept. 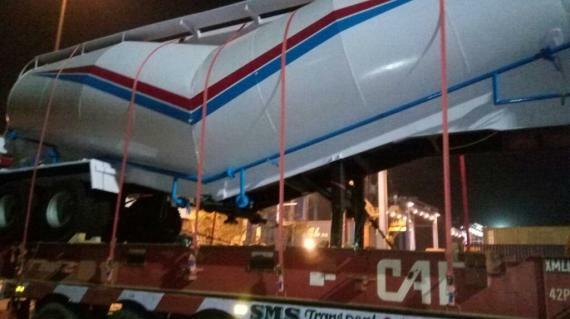 So, we managed to release the air pressure from the tyres and re-lashed the cargo to achieve the correct height satisfying both the liner and the customer as our original quote was maintained."